I live in the beautiful city of Edinburgh. At this time of year, the population of Edinburgh doubles as hundreds of thousands of tourists come to sample the many wonderful events that take place in Scotland's capital city every summer. Whenever I take a walk through the historic city during the summer months, I notice many tourists looking at their maps with confused expressions on their faces. Of course, I always ask them if they need any help, and try to give them directions to their chosen destination. 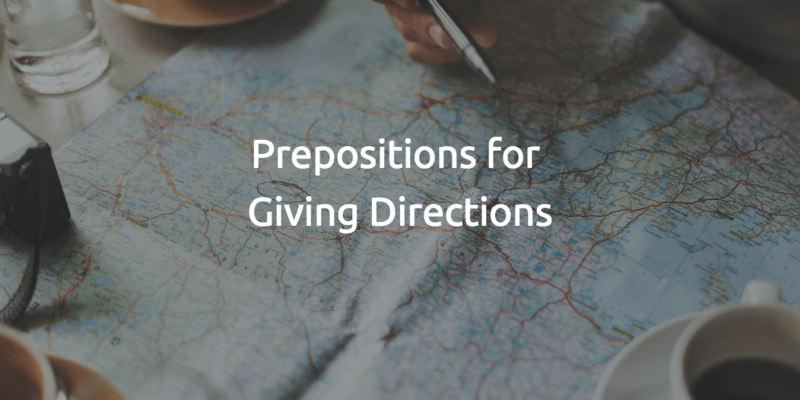 Giving and receiving directions in English can be challenging for many English learners. Whether you are travelling in an English-speaking country, telling a colleague how to get from the train station to your office or helping some lost tourists in your city, it is essential that you use the correct prepositions in your directions as any mistakes might lead to a wrong turn. 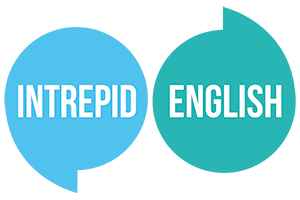 In this week's Intrepid English blog, we will look at some of the most common direction phrases in English. Try to memorise the correct preposition or prepositions within each phrase. It can often be easier to describe a recognisable landmark that the destination is next to, rather than give detailed directions from the place you are standing. Excuse me, can you tell me how to get to the library? Sure. It's next to the largest church in the city. Just walk towards that large church spire, and the library is next to that. If someone asks you for directions to a place that is across the street from a well-known landmark, you can say that it is opposite that landmark. You might say that something is on the opposite side of the street to a landmark. I'm sorry to bother you, but do you know where the nearest bank or ATM is? Yes, it's on the high street, opposite the bookshop. It's on the opposite side of the street to the supermarket. The point at which two streets intersect, or cross each other, is called a corner. To direct someone to a building which is located on a corner, you can say that the building is on the corner of those two streets. Hello. Could you tell me where the nearest post box is? I need to post a letter. No problem. It's on the corner of Main Street and Market Street. If someone is heading in the correct direction and you want to tell them to keep travelling in the same direction, you can tell them to carry on. In British English, we sometimes say straight on in this situation. Hi there, I'm trying to find the train station. Is it near here? Yes. You're on the right street, you just need to carry on for another mile. When you get to the roundabout, go straight on and you will see the entrance to the train station. When the target destination is located beside a noticeable landmark, we can say that it is to the right of or to the left of that landmark. Excuse me, is there a car park near here? The nearest car park is in town. You will find it to the right of the main statue in the town square. If you enjoyed this, you might like our blogs about phrasal verbs. Why not check out the Commonly Confused English Words series too?